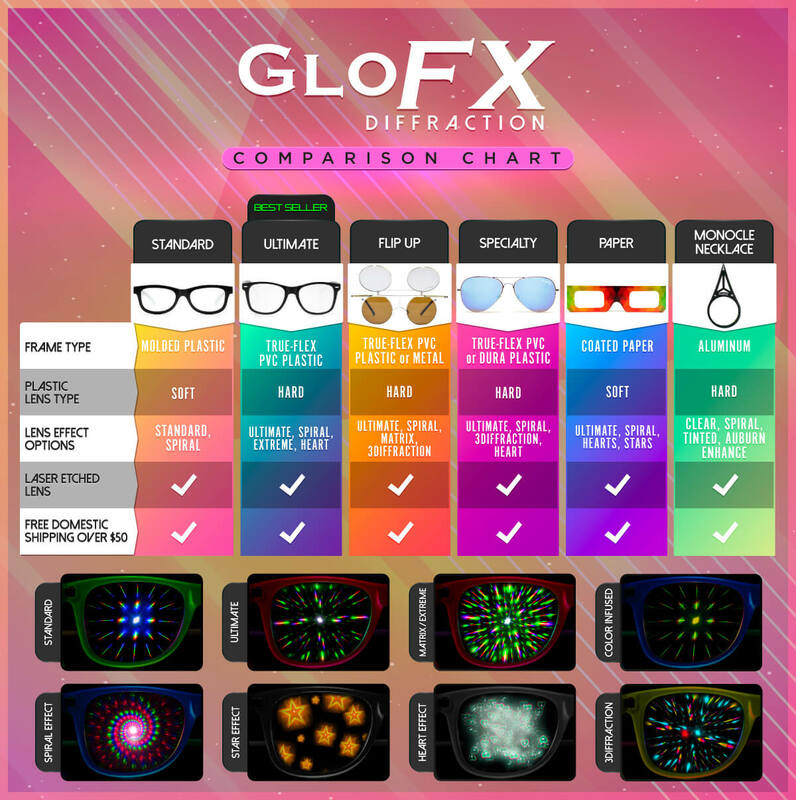 If you’re looking for a unique and different design than the traditional frame, then look no further than our Flat Black Diffraction Glasses. Each frame is produced with a distinctive dusted finish to give your glasses premium matte texture and design. Paired with Blue Mirror Diffraction Lenses and line diffraction effects that are 3 times that of the competitors, these glasses are beyond cool. These scratch resistant lenses are durable and produce crisp firework diffraction lines. Let your true personality stand out and grab a pair or two today!